How to find the words to discuss a film like John Krasinski’s A Quiet Place? 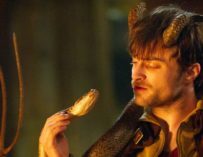 Words, or the lack thereof, is very much one of the film’s central themes. A lot of this movie plays out like a silent film; you could describe it as a silent horror film – apart from the fact that there is some dialogue towards the end of the film and sound plays a huge part in what makes A Quiet Place so full of tension. I will admit that I didn’t know much about the movie before going in, and I’d recommend you do the same if you’re thinking of going to see John Krasinski’s new horror film. I didn’t watch the trailer, and I think that my enjoyment of the movie may have been elevated somewhat because of that. 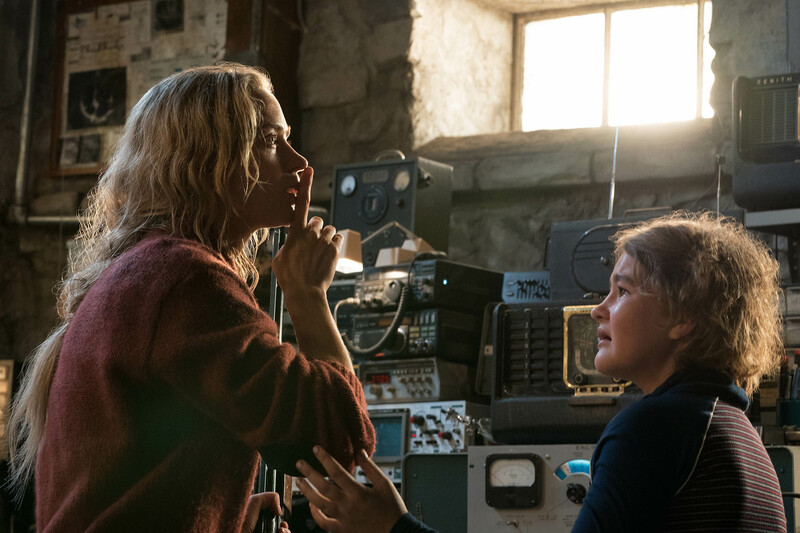 A Quiet Place is set in a near apocalyptic future, and we follow a family that are doing their utmost to stay as silent as they can. We soon find out why. The world’s been overrun by these terrifying creatures – I’m guessing they’re aliens – who have an acute sense of hearing and the minute they hear the slightest thing will pounce on you within seconds. The film then goes on the show how the family copes in this dismal situation, and things are made particularly difficult when the mother, played by Emily Blunt, becomes pregnant. It’s pretty tough to make a newborn baby stay silent. Who are we if we can’t protect them? John Krasinski both stars in and directed this picture. He also had a hand in writing it. All I can say is that it’s a hugely impressive directorial effor from the actor and he delivers an excellent performance, which is saying something since it’s widely known to be a challenging thing to both act in and direct a movie. The whole cast is exceptional, and Krasinkski and Blunt play very well off one another. 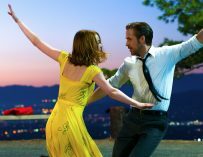 Usually, real-life couples tend to shy away from acting alongside one another, but in this instance, it adds to their on-screen chemistry. However, this film’s real strong point is its sound design. 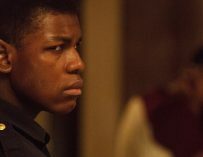 There are vast stretches of the movie that are utterly silent, and you’ll often find yourself straining to hear even the slightest pin drop and dreading the moment when someone inadvertently makes a loud sound. I kept on thinking that if I was in this world, I’d be immediately killed. The best horror movies have a great central premise and stick to it. This is what A Quiet Place does so perfectly. I’ve seen elements of this idea in horror films before – don’t make a sound or else the big bad thing will find you and kill you – but I’ve never seen it done quite like this before. There is a particularly tense scene with Emily Blunt in this film that had me literally on the edge of my seat. I won’t go into spoilers, but it’s one of the best horror scenes I’ve seen for a while. There were moments when I was reminded of the hit Netflix series, Stranger Things, especially the monsters’ design and also some light flickering going on. But that’s where the similarities end. 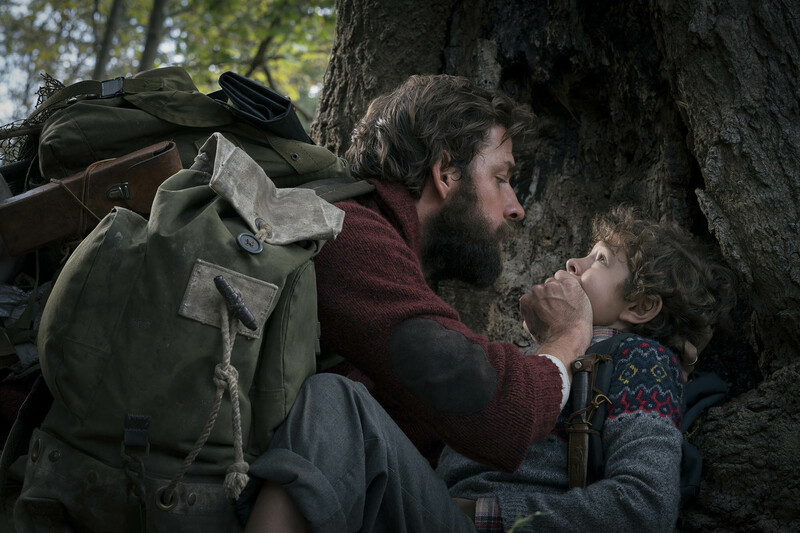 A Quiet Place is tense, original, well-direct and equally well acted. We seem to be getting a lot of good horror films coming out these days, and as a fan of the genre, I hope this fine form continues. I’m also looking forward to seeing what Krasinski does next. He’s showed real directorial flair with this film, and I’m sure he’s got a lot more to offer behind the camera as well as in front of it. Who knows, they might end up making A Quiet Place 2? As far as A Quiet Place is concerned, the film left me speechless.